One trophy in the bag, four to go. 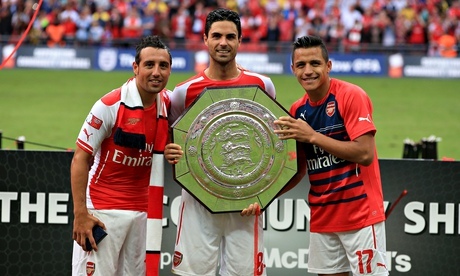 Arsenal's capture of the Community Shield last week was thrilling because of the manner in which it was done. Of course, since a half-strength Manchester City squad didn't really look like they bothered at all at times, Arsenal's victory has been written off by some as just a glorified friendly. These are likely the same people that would have lambasted the Gunners had they lost the match. 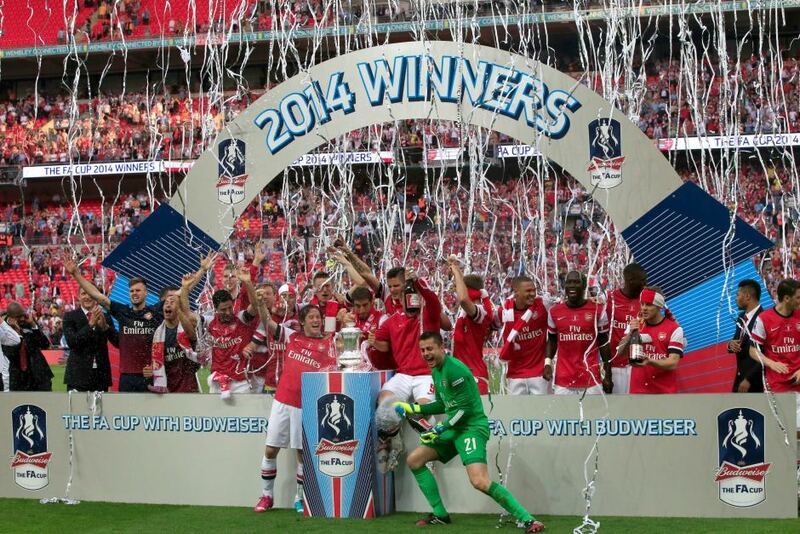 Ultimately, you can only win the games that are put in front of you and last week Arsenal did that with aplomb. Given the relative strength of this Arsenal squad in comparison to those over the last several seasons, it's astonishing how many pundits continue to predict Arsenal to fall out of the top four. Honestly, it's like a good luck charm at this point. Anyway, going back to my earlier point, you can only win the games that are in front of you and you can only win them one at a time, so let's set the grand scope of the 2014/15 season aside and focus squarely on Crystal Palace for tomorrow's opener. Suddenly, Palace find themselves in turmoil as manager Tony Pulis resigned from his position by mutual consent yesterday. While Arsenal fans have never really thought too highly of Pulis dating back to his days at Stoke, it's clear what a positive impact he had on Palace's survival last season. Truly an astonishing development two days before the start of the season. Back to the task at hand, the Gunners opened 2013/14 in one of the worst ways possible. Let's not do the same this year, shall we? One of the new guys holds the plate. For all of the positive moves the Gunners made this summer, it wouldn't really be the start of Arsenal season if the club didn't have some sort of massive hole somewhere in the squad. Presently, that hole is in the center of defense. The club sold Thomas Vermaelen, Per Mertesacker is just back from his post-World Cup vacation, and Laurent Koscielny was removed at halftime from last weekend's match with an Achilles injury. So, what two players will start at center back? Well, Arsene Wenger has stated that Koscielny should be fit to start, so that's a bullet dodged. 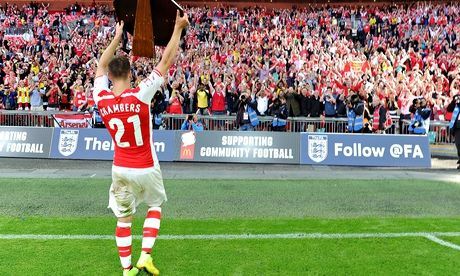 As with the Community Shield, I think Calum Chambers (who massively impressed) will start along with him. The rest of the lineup should pick itself; the only change from the Shield that I would make is Olivier Giroud starting up top instead of Yaya Sanogo. Predicted XI: Szczesny, Debuchy, Koscielny, Chambers, Gibbs, Arteta, Ramsey, Wilshere, Cazorla, Alexis, Giroud. with the defender claiming he was notified by e-mail. Ex-Arsenal youth player Jerome Thomas suffered an injury-plagued season last year, making just nine appearances for the Eagles in midfield; he is not expected to take part in this match either. Right back Adrian Mariappa is a slight doubt with a rib injury; he was held out of Palace's last friendly of the summer as a precaution. Damien Delaney and Jonathan Williams are also doubts, but should both be available for selection. This summer, Palace brought in Frazier Campbell from relegated Cardiff City to lead their front line ahead of ex-Arsenal man Marouane Chamakh. 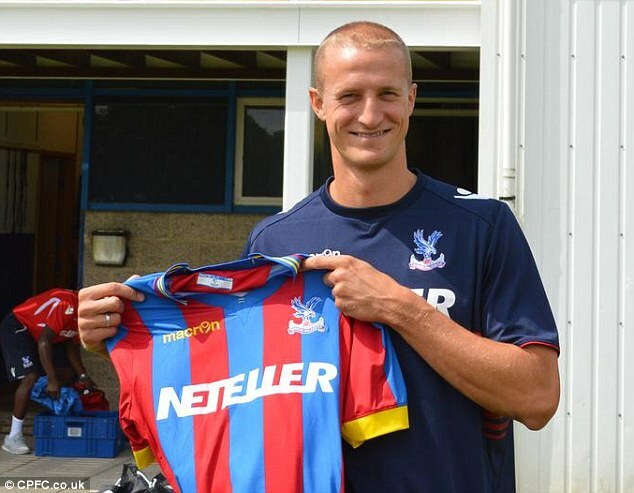 They also brought in Brede Hangeland from relegated Fulham at center back and free agent goalkeeper Chris Kettings from Blackpool. The club also announced the signing of Martin Kelly from Liverpool yesterday. In terms of exits, Palace made no sales this summer, but released the likes of Kagisho Dikgacoi and Danny Gabbidon. Though Pulis is now out as manager, I would not expect the club's tactics to change drastically just hours after the announcement. The defenders play narrow and cut out crosses; they rely on the organization of the midfielders to force opponents out wide. Palace conceded just 48 goals last year, two fewer than Liverpool and three fewer than Tottenham. They'll line up with two banks of four in defense and midfield and Chamakh playing behind Campbell up top, a 4-4-1-1. Predicted XI: Speroni, Mariappa, Delaney, Hangeland, Ward, Puncheon, Bolasie, Ledley, Jedinak, Chamakh, Campbell. Well, I feel like last season has been recapped about eighty bazillion times, but let's have one more go, shall we? Summer 2013: Arsenal announces they have a ton of money to spend, then doesn't end up spending it. The Gunners lose in incredible fashion on opening day. The team rebounds with a handful of wins, then finally spends the money on Mesut Ozil. Autumn 2013: The introduction of Ozil helps the squad to a first place run and qualification for the Champions League knockout phase from the Group of Death. League Cup casually tossed aside with bigger aspirations. Winter 2013/14: Injuries start to take their toll and Arsenal's record in big road fixtures is found sorely lacking. Club crashes out of Europe but progresses nicely in the FA Cup. Spring 2014: Suddenly a battle for fourth is on after a dreadful March, but the Gunners end the season on a high note, claiming fourth spot and winning the FA Cup, the club's first trophy in nine billion years. As for Crystal Palace, they won one of their first 11 games and sat 20th as late in the season as January 11. Tony Pulis took over in late November to attempt to turn things around, but the Eagles still sat 17th after a loss to Newcastle on March 22. From there, Palace won five straight (starting with a win over Chelsea) to climb to 11th place. The club famously came from 3-0 down to draw Liverpool 3-3, putting another dent in the Reds' title hopes. Palace's cup runs were nothing to write home about last year; they lost in the League Cup in August and in the FA Cup in January. Arsenal won both fixtures with Palace by 2-0 scorelines last year, though both matches were scoreless at halftime. At Selhurst Park in October, Palace conceded an early second half penalty which Mikel Arteta put away to make it 1-0 Arsenal. Later in the half, Arteta was sent off for denying an obvious goal scoring opportunity that was really way too far out to be that obvious. It got a bit nervous for 10-man Arsenal, but Olivier Giroud tallied a late insurance goal. In the match at the Emirates in early February, Alex Oxlade-Chamberlain scored twice to give the Gunners the victory. Crystal Palace have beaten Arsenal only three times in 35 all-time meetings, but two of their three wins came at Highbury, one in 1970 in the League Cup and the other in 1994. Arsenal have not won on opening day since a 6-1 win over Everton in 2009; they drew three straight from 2010 through 2012 and lost last year. Last year's 3-1 loss to Aston Villa was Arsenal's first opening day loss since 2000 when they lost at Sunderland. Crystal Palace have lost three straight season openers; their last opening day win came over Leicester in 2010. The referee is West Yorkshire-based Jonathan Moss. Moss, incidentally, was the man in the middle of this fixture last season. Arsenal saw Moss three times last year, winning all three via clean sheets: 2-0 over Cardiff, 2-0 over Crystal Palace, and 3-0 over Hull. Arsenal have seven wins all time from seven competitive fixtures with Moss as the referee. Arsenal did, however, lose to Galatasaray in the Emirates Cup in 2013 thanks, in part, to a dubious penalty awarded by Moss.